Product prices and availability are accurate as of 2019-04-13 11:09:43 EDT and are subject to change. Any price and availability information displayed on http://www.amazon.com/ at the time of purchase will apply to the purchase of this product. When to Start For spring planting, mint seeds can be started indoors in late winter or direct-sown in the warm spring soil. But as a hardy perennial, they can be started anytime until about 2 months before the first frost of fall, or year-round for indoor use. How to Start To sow the seeds indoors, place them on top of the Bio Sponge in your Bio Dome, or on top of the medium in your seed flat. Do not cover the seeds; they need light to germinate. They should sprout within 10 to 15 days at room temperature or slightly warmer (68 to 75°F). Transplant into the garden or container when they have at least 2 sets of true leaves. Germination is the hardest part, growing is super easy! To sow the seeds outdoors, place them on top of well-worked soil, then sprinkle a fine layer of vermiculite on top of them. If you are sowing directly into the garden, consider placing a row cover over the seeds until they sprout. Special Considerations Harvest sprigs from the plant as you need them all season long. Try to pick mint in the morning, when the flavorful oils are strongest. Plant your mint where passersby will brush the foliage, which releases its heady aroma. For new plants from your old ones, root a stem cutting in a glass of water, or divide the entire plant into sections and replant each division. 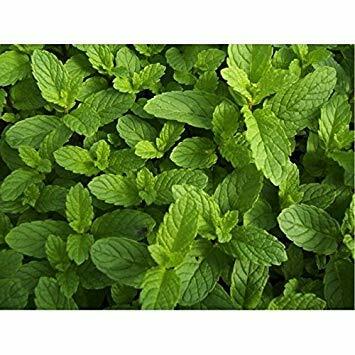 Growing Tips Mint thrives best in partial shade and rich, moist soil. However, it is famously unfussy, so chances are it will not only survive but flourish in any light from full sun to deep shade, and any quality of soil provided the drainage is decent. Many gardeners deliberately plant it in less favorable conditions to slow down its spread! Space plants 12 to 18 inches apart in the garden. Throughout the growth months, pinch off the tips of the stems. This makes your plant bushier and less leggy. Avoid using fertilizer on mint. Perfect for beginning gardeners, mint is the easiest of all herbs to grow. These seeds are tiny! There are over 7 million seeds/lb. Peppermint is perennial hardy in zones 4-9. 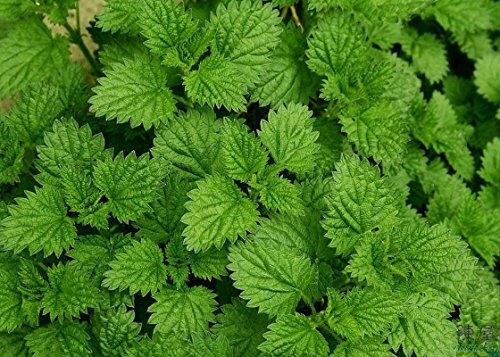 In addition to flavoring food and drinks, it serves as a natural pest deterrent in the vegetable, herb, or flower garden, and chewing the leaves not only freshens the breath but is said to calm an upset stomach.